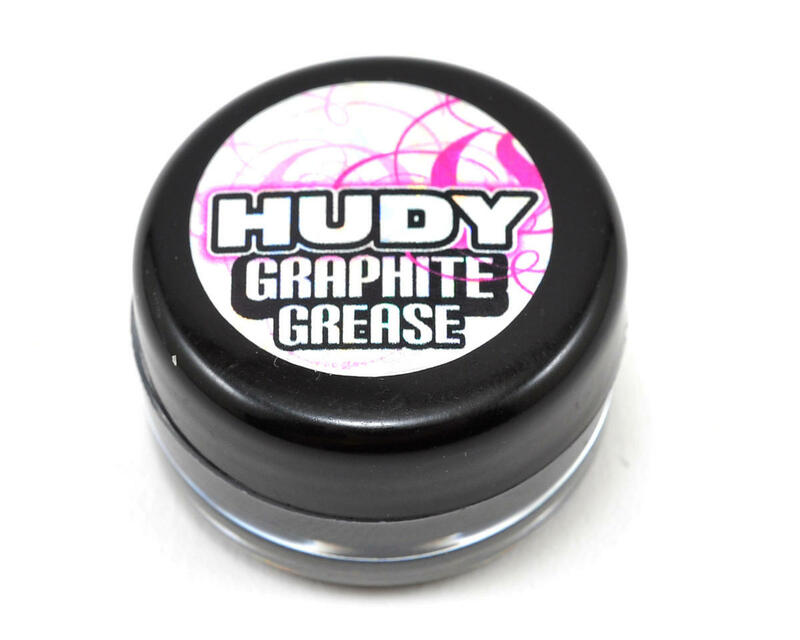 HUDY Graphite Grease is a high-performance, advanced-technology semi-fluid lubricant which incorporate both extreme pressure additives and finely dispersed graphite for load carrying. It is intended primarily for the lubrication of rotating parts and loaded gears. In addition to providing outstanding load carrying, it is formulated to have excellent adhesion and resistance to "fling-off" under extreme conditions. The grease reduces wear and increase the parts life. Proper care and precautions must be used in the storage and use of HUDY Graphite Grease. Do not get near eyes or ingest, and keep out of the reach of children. It looks like liquid carbon fiber, and works awesome. Sure it's no bargain, but I haven't even used a third of it yet and I've done several transmissions, you use the stuff sparingly. Stays on gears as advertised and is actually a very light grease. 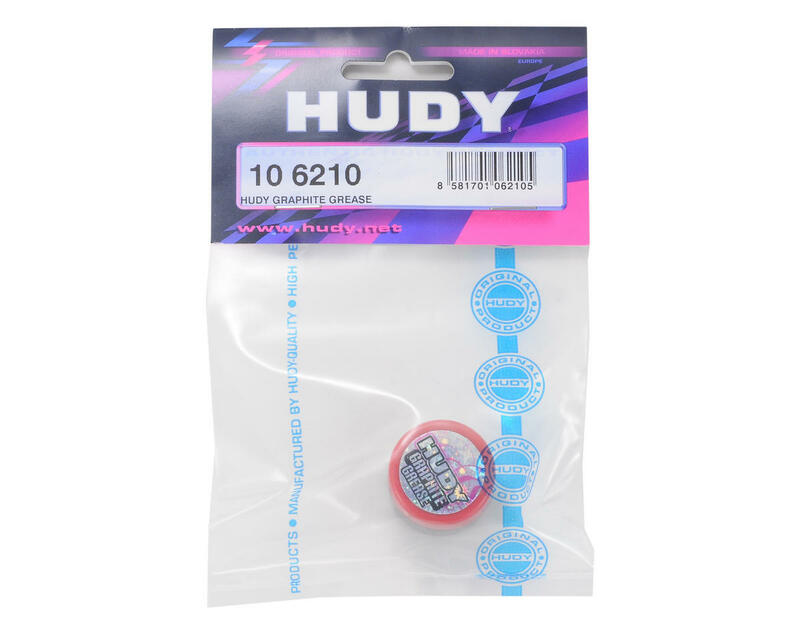 As others have stated, the HUDY graphite grease works incredibly well, and is excellent for any metal to metal contact on your RC car. The biggest complaint I see is that its a small amount in the package. While thats true, you really only need a very sparing amount for each use - and one of these containers will easily last you many racing seasons. What I notice most often, is that peoples method of application is what causes them to use more grease than they actually need. My solution for this is an industrial syringe. These syringes are available online, and can include multiple size needle tips for application. Using a syringe, you can use a needle gauge that perfectly fit inside a drive joint (for my Xray T4, a 20 gauge needle tip works perfectly), and allows for a precision application of grease, with no unnecessary excess grease applied. Using this method, a single jar of graphite grease has lasted my multiple years of constant use on all of my RC vehicles, including cars, planes, and helis. Im very happy with this grease it is a small container but if you look they all are. I would buy this again it does very well in my jato transmission. I would recommend this to anyone looking to get a grease that will stay on and last. This is well worth the price since a tiny amount goes a long way. This stuff is like tar and sticks to everything. As advertised, it will not sling as so many other 'black' greases tend to do. I will buy this again. If you've ever used graphite you know how smooth it is and how well it lubricates. This provides a silky smooth lubricant, great for CV joints, and wherever metal comes into contact with metal. I purchased a container about a year ago and am now hooked! A little amount goes a long way, the container it comes in is small but you only need to lightly coat the contact surface -more is not better. I use this on about 4 different cars that I race and got about a year out of the small container. Use it sparingly you don't need a lot for it to work! To the person who posted that you can get marine grease for larger quantity and less price. Marine grease is totally different. Marine grease is lithium based. 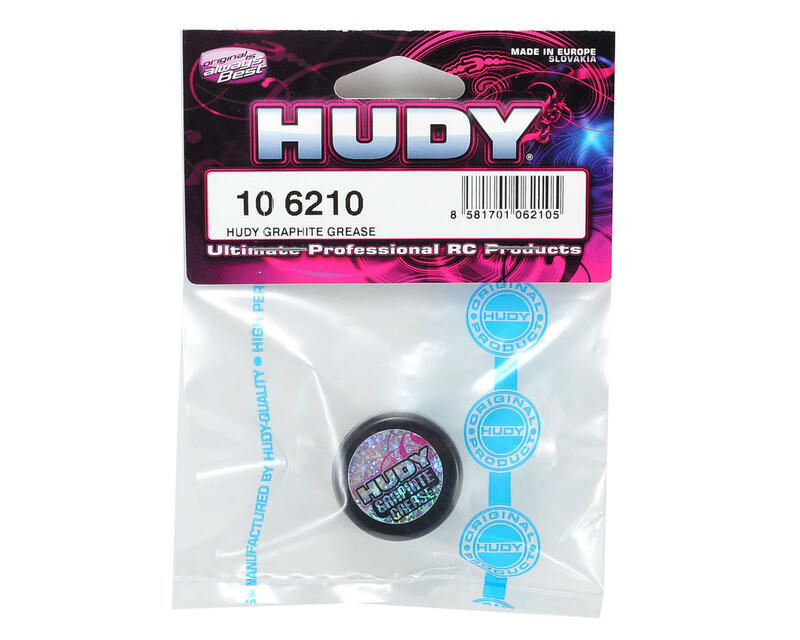 This Hudy grease is graphite based -totally different. Not only does graphite lubricate but it also helps keep parts moving with very little friction. Marine (lithium) grease can be "gloppy" and create friction. If your racing this would be really bad....mise well throw gum in your gears. Great stuff, however, cant justify the price for such a small container. Have not used it yet, but the package is way smaller than I thought it would be. I assume it is a really high quality grease, to be sold for this price in such small quantity. I am sure it will work well but wow is this a tiny amount of grease for the price. I kid you not that the container this came in was only 22mm by 24mm in size. Clearly a poor choice unless you like spending a lot for very little in return. Go buy some Maxima marine grease at a motorcycle shop and get a hundred times the grease for the same cost. 4 of 17 customers found this review helpful.